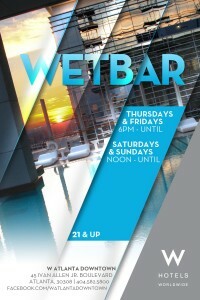 Wet Bar 16 Floors above the ATL Sky Line, with a Heated Salt Water Pool. Its the place to be for the Spring and summer to hear the Fresh Deep, and Indy Dance Tracks off the Press. You know How we do.